Syllabus for Online Entrance Examination Executive MBA 2019. Syllabus for Online Entrance Examination BBA(HFM) 2019. 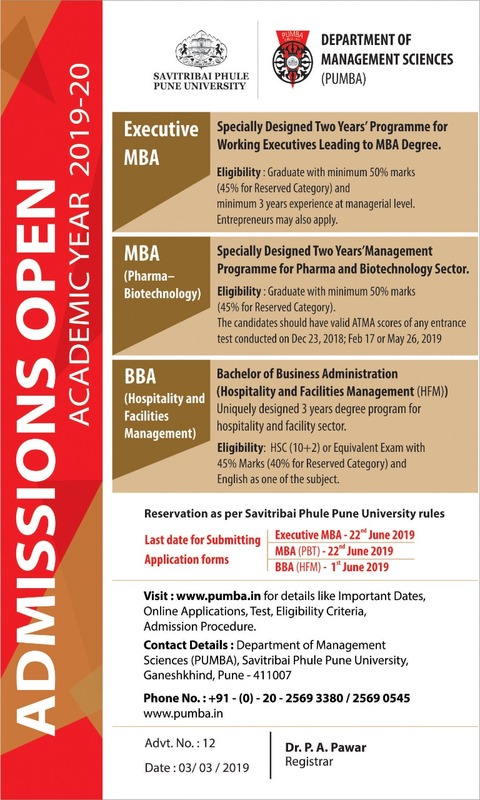 The Department of Management Sciences (PUMBA), Savitribai Phule Pune University, one of the first Management Institutes in India, is a pioneer by itself in the field of Management Studies. The Department offers a variety of programmes at Post Graduate, Doctoral and Diploma levels.